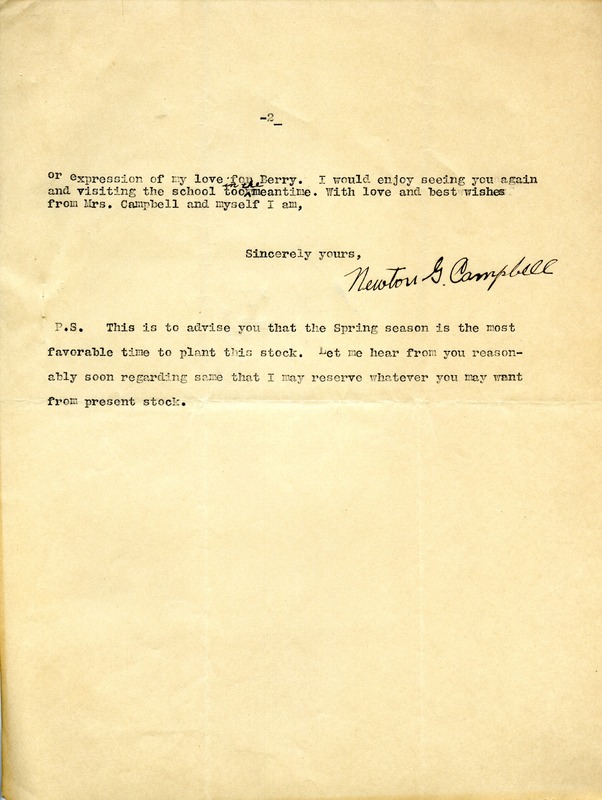 Mr. Campbell writes to give Miss Berry an update on his family and congratulate her on the Ford's gift of buildings. He also explains a little about his business and asks if Miss Berry would be interested in purchasing any mountain flowering evergreens and advises her on cost and planting instructions. 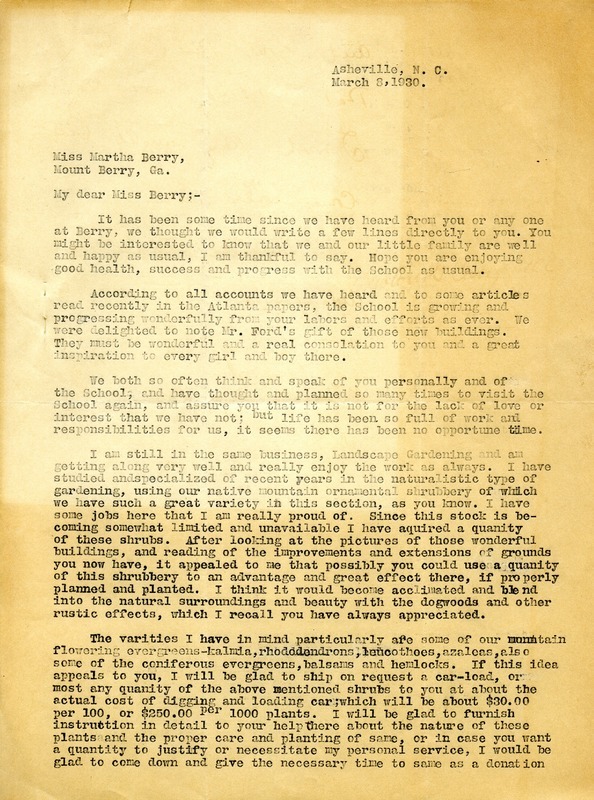 Newton G. Campbell, “Letter to Martha Berry from Newton G. Campbell.” Martha Berry Digital Archive. Eds. Schlitz, Stephanie A., Chelsea Risley, et al. Mount Berry: Berry College, 2013. accessed April 22, 2019, https://mbda.berry.edu/items/show/11978.